If you liked this show, you should follow Witch School. JRob Zetelumen publishes Paganistan Weekly which goes out to approximately 3000 people. He served on the board of directors for the Sacred Paths Center (the Paganistan community Center). He has done extensive promotional work for the Sacred Harvest Festival (the largest Pagan festival in Minnesota) and Paganicon (the new conference in Paganistan). He's a contributing writer for the Pagan Newswire Collective. JRob also works part time at The Eye of Horus, one of Paganistan's metaphysical shops. 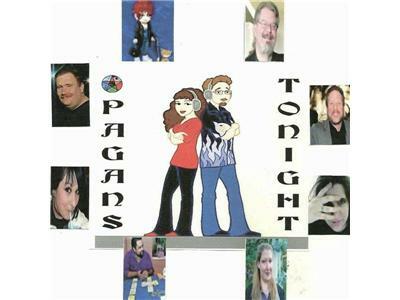 Pagans Tonight is the World's leading nightly Pagan show bringing you news, information, entertainment and ideas from across the world, physically, virtually, and spiritually. The show is a ensemble show led by Ed Hubbard & Traci Wood, with regulars Don Lewis, Maryann, Zaracon Terry Powers, Liz Hamilton, Mark Mandrake, Shauna Aura and the Amazing Rainbow. Guests and Regular listeners call in to comment and share ideas and experiences at 1-347-308-8222. Join us every night @ 9pm CST.